Online sales are about to start costing more. The Supreme Court ruled today that states can force retailers to collect and remit sales taxes on out-of-state purchases. The 5-to-4 decision reverses decades-old decisions. Those rulings had protected out-of-state vendors from sales tax obligations unless the vendor had a physical presence in the state. NPR legal affairs correspondent Nina Totenberg reports the decision could add billions to state coffers. NINA TOTENBERG, BYLINE: The court's earlier decisions that were reversed today date back to a time when mail order sales were relatively small and online sales were all but non-existent. Writing for the five-justice majority, Justice Anthony Kennedy said that in the modern economy, the rule linking tax collection to a physical presence in the state unconstitutionally deprives states of the ability to collect taxes and perform critical public functions. The decision was a victory for South Dakota, which, like some other states, has no income tax and relies on sales taxes to fund most of the state's services. Because of dramatic fall-offs in state sales tax collection, the state in 2016 enacted a law to test the physical presence rule. 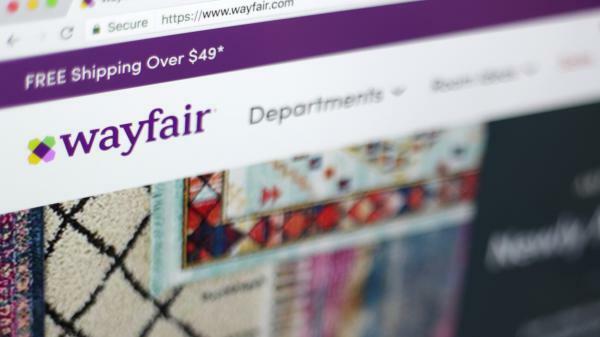 Three large online vendors, Wayfair, Newegg and Overstock, challenged the law in court and lost today. MARTY JACKLEY: It's a great day for South Dakota and Main Street America. TOTENBERG: Marty Jackley is South Dakota's attorney general. JACKLEY: It's an additional, in the words of the Supreme Court, $48 to $58 million that South Dakota can use for education, health care and infrastructure. But it's much bigger than that. I think it's going to revive Main Street South Dakota and Main Street America. TOTENBERG: South Dakota Senator Deb Peters, president of the National Conference of State Legislatures, noted that small businesses have faced an uphill battle against out-of-state vendors who until now could charge lower prices because they didn't have to collect sales taxes. She points to a local shoe store for example. DEB PETERS: The storefront on Main Street is paying property taxes in their local community. They're paying the person that's helping you try on the shoes, and, you know, they've got to pay for the inventory. TOTENBERG: But she said they lose a lot of sales because people know they can buy the same shoes online without paying taxes. While some online sellers recently have started collecting sales taxes, others like L.L. Bean do not. Amazon does collect on direct sales but not indirect sales. That's likely to change now. Twenty-four states have already agreed to a streamlined proposal for vendors collecting sales taxes. But some of the most populous states - New York, Texas and California - have until now refused to sign on and have far more complicated tax collection systems. Congress, as the court acknowledged, could enact a broad-based law for state sales tax collection, but anti-tax groups and Republicans in Congress have bottled up such proposals. Today's victory for South Dakota would seem to flip the script with states less interested now in enacting some sort of national legislation and online vendors perhaps more interested. Stephanie Martz is general counsel for the National Retail Federation, which includes 18,000 businesses large and small. STEPHANIE MARTZ: I think the chessboard just looks a lot different now. MARTZ: Now our members are going to be able to figure out how to construct their businesses without worrying about whether putting a distribution center on this side of a state line or that side of a state line will result in a different tax implication. CARL DAVIS: The court blessed South Dakota's law. TOTENBERG: That law specifically protects small businesses from collecting sales taxes if they have less than $100,000 or fewer than 200 sales in the state. The state provides sales tax collection software for free for any business that wants it. And most importantly, the state law does not permit sales tax collection for past purchases. Nina Totenberg, NPR News, Washington. Transcript provided by NPR, Copyright NPR.